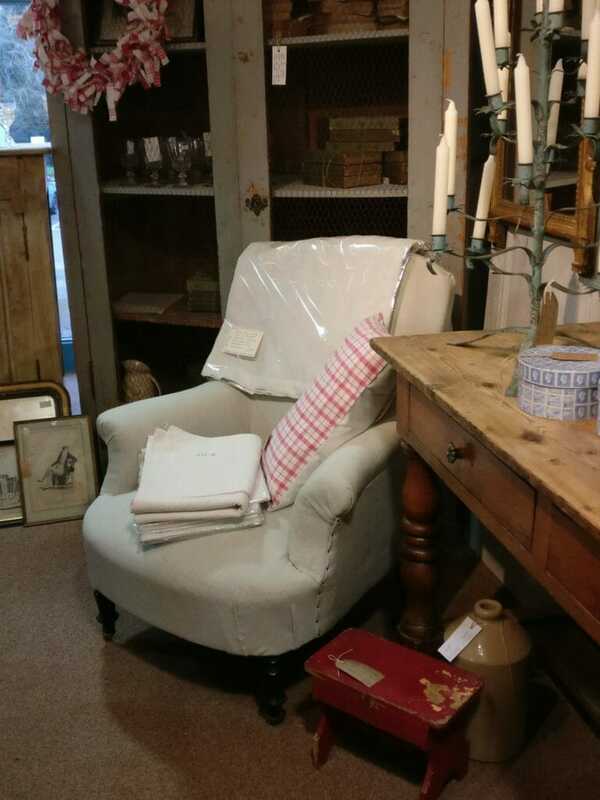 Comfortable French fauteuil just reupholstered in good quality silver grey linen. A feather filled cushion in the same fabric comes with it. SOLD.